Not that long ago, Google was known for its unwavering commitment to one shining principle: namely, that its homepage would always remain a pristine expanse of white, broken only by a simple search box and a kooky or amusing graphic. We’ve seen some breaches of that rule over the past couple of years, but in most cases they have been simple text links — nothing like the huge pop-up Nexus 7 ad the search company installed recently, or the birthday reminders that are now appearing for Google+ users. But while these may seem like trivial annoyances, they reinforce just how far the company has diverged from its original purpose, as do recent content acquisitions like the purchase of Frommer’s travel guides. And every step that Google takes down that road seems to raise a red flag for antitrust regulators and a growing legion of critics. As Liz Gannes notes at All Things Digital, former Google executive Marissa Mayer was adamant in 2005 that there would never be “crazy, flashy, graphical doodads flying and popping up all over the Google site. Ever.” Her comments came after the search giant signed a content deal with AOL, and the fear was that the banner-ad-crazy culture of the former portal would somehow infect Google. It seems obvious (as John Gruber at Daring Fireball points out) that her response was primarily about ads for other companies and products, rather than Google pushing its own products. But the outcome is the same — and if anything, it seems worse that Google is pimping its own offerings, because it tilts the playing field in the company’s favor. Is Google putting its thumb on the scales? That’s the underlying principle at stake, not whether or not the homepage has pop-up ads or birthday reminders on it — and it is the part of all this that could lead to even more problems for Google when it comes to the ongoing investigation by the Federal Trade Commission into what it alleges is anti-competitive behavior. A key aspect of that case is whether Google favors its own products, and whether doing so is unfair to smaller competitors because of the company’s monopoly position in search and search-related advertising. Since it is a corporation and not a public utility, it’s not surprising that Google would promote its own offerings in search results, whether it’s Google Maps or local results or any other aspect of its business. In many ways, the arguments made by “search neutrality” advocates — that Google should remain completely neutral in how and where it places results — are somewhat absurd. The whole point of a search engine is that it provides the best results for a query, and in order to do that it has to make decisions about the value its algorithm places on different sites, decisions that are to some extent always going to be subjective (law professor Eugene Volokh has even argued that search results are effectively a form of free speech). But as Danny Sullivan of Marketing Land noted recently, this argument is becoming increasingly difficult for the company to maintain, as it acquires more and more businesses that compete directly with other content providers who are likely to show up in search results, and as it tries to expand its Google+ network to become a viable alternative to Twitter and Facebook (as my colleague Barb Darrow reports, the company said Wednesday its social network is also being integrated into its enterprise-level Google Apps offering). So the acquisition of Frommer’s gets added to the acquisition of Zagat, and Google becomes a serious powerhouse when it comes to the business of travel-related reviews and recommendations. Is that a big business? It certainly is, and it’s also one where Google’s search and advertising market share is going to play a fairly critical role. How much preference will results from its own properties get when a user does a search for a restaurant or a hotel? We don’t know, and neither do antitrust regulators — and Google will never give them enough information to make a reasonable guess, because that would reveal too much about its algorithm. In the same way, the addition of birthday reminder popups seems like a fairly trivial thing for the Google homepage, more of a nuisance than something worth getting upset about — except that the point of these reminders is to promote the use of Google’s Facebook-style network Google+, just as the earlier addition of a toolbar at the top of the search page was, and just as the search feature known as “Search Plus Your World” was when it launched earlier this year. For many, the latter move was one of the biggest betrayals of Google’s original promise that it would never bias its search results for any commercial reason. In a recent interview with The Telegraph about modifications to its search results, Google executive Amit Singhal made some cryptic comments about Search Plus Your World that seemed to suggest the company was de-emphasizing those personalized results, but it’s not clear what the actual impact (if any) of his comments might be. If anything, Singhal’s remarks seemed more like an attempt to downplay the feature because it has raised concerns with a number of antitrust regulators — including those in the European Community, who are conducting their own investigation of the company’s behavior towards competitors. Google’s original mandate was to “organize the world’s information,” but many of its recent moves seem designed to own the world’s information instead, or at least to control access to it. That may be in Google’s corporate interests, but is it in the interest of the average web searcher or consumer? As we’ve pointed out in the past, one of the main tests in an antitrust case is whether a company’s behavior distorts the market in a way that penalizes users (and the Federal Trade Commission has even broader latitude when it comes to unfair practices). The more Google expands its ownership of content and services, the harder it will be to defend against those kinds of accusations. Google is a commercial company if you don’t like what it is doing strat using a rival – bing springs to mind they offer much of the same they may be a few years behind but a surefire way to help them catch up is to start using them! I struggle with the fact that Google no longer provides complete search analytics my clients who do not use adwords. No longer can I view the search terms of those who log into Google and do a search for one of my customers – unless my customer has an active adwords account. I find this lack of transparency distressing and I think it sends a message to all of us – Google is no longer our friend. Google is looking out for Google. It really is all about the money. I dont see there is anything wrong even if Google is doing it intentionally. We all are using Google Search for decades and without even spending any penny we consume information and use for our business to generate money for ourselves….So, if Google is trying to do so, no one should take this otherwise…..
google placing ads on its homepage has nothing to do with monopoly, it’s their page and they have the right to use it as they wish. This is totally different than search results where the monopoly actually is (some sites has the search engine as their only gateway). But accusing google of putting ads on its homepage because its the most visited page is absurd. Despite earlier comments, market share alone does not mean a company is a monopoly nor violating antitrust laws. I can’t really see anyone objecting about a single non intrusive ad on a company web page other than maybe the folks at Apple. No doubt in my mind Apple has already petitioned any and all regulators and courts. I think the relavant point is that advertizing on the search page, or skewing search results favoring google product lines makes me want to find another search engine. I left yahoo because I found the ads on the homepage distracting me from accomplishing my goal of searching for what I came for. Perfect example is that I got online this morning to look for freinds wedding registry and now I’m thinking about whether google is skewing search results. I hope they stick to the elegance of their search homepage. Its a good buisness model. Expand the brand elsewhere – they have plenty of channels to do it. Google is doing this for its profit and advertising products so it’s nice! Putting the Nexus on their home page and favoring it in search results are two completely separate things. Google has the right to use their home page any way they please. If they kept it plain in the past and that now makes product placement more valuable, so be it. The frame around search results is Google property just like the homepage. Every website surrounds ‘content’ with site promoting ‘ads’. Comments about abuse of power belong only to discussion of product placement within search results. What doesn’t bother me about Google’s deviations is that ultimately they’re in business to connect people more quickly and efficiently to content and information they are looking for. These products (and birthday-note) “pushes” further enable these functionalities…and across devices! Personally, I have a Nexus 7 and Android phone and am a heavy user of Google products [even on my Mac computer], and appreciate that Google’s product-line helps connect these devices and content formats. They make information – Google-proprietary or otherwise – easy to find. Sure, Google’s accessing likely tons of my personal information, but they’re making my life incredibly easier to manage – and I can choose not to volunteer *truly* sensitive info. A bit long-winded (and off-topic), but I still think they present information that helps us better “find what we’re looking for”. Matthew I’m sure google is touched that you would worry so much on their behalf as to how this might affect a regulator. My suggestion? google is a big company and they can take care of themselves — they don’t need you to do their worrying for them. today in Internet Explorer was prompted to download Chrome on top bar when signing into Google. Wow! Of course they are more serious than what meets the (common) eye. Obviously, the author of this particular article is not to be deemed highly intelligent and to that I would like to thoroughly congratulate him: Thank you for being a “Median-Person”. There is absolutely no feasible means of verbal expression that could help him become less non-highly-intelligent. After that ridiculous Apple court win, Google is getting scared that Android will just go away like Blackberry. Google knows they have to be a monopoly company if they want a jury and a judge to protect them in the U.S. courts. The biggest companies get all the favoritism, especially by the U.S. government! The entire patent system is ridiculous when it comes to technology. Some things, mechanical things, should be patented. However, patents on Swipe to Unlock, multi-touch, etc, is just ridiculous. Samsung and Android are several steps ahead of Apple in their product development and features at this point. Samsung and Android need to patent every little bit of code in their OS, and the way that icons interact with each other, and notifications are displayed, and blah blah blah… Then, when the inevitable happens and Apple decides to “catch up” by implementing said features (think Voice Recognition, voice to text, GPS navigation, 4G LTE, etc), Samsung and Google can sue the crap out of them in court. Apple would still win because they have a hundred billion dollars to blow. Apple has somehow convinced their 16% market share to call the product they use ‘iPhone”, while the 74% Android market share people call theirs “Phone”. The companies favored in courts are always the bigger ones. It’s sad. 100% agree about overstepping it’s bounds. I don’t have a problem with the acquisitions. I don’t have a problem with the technology (it’s great) or it’s products. And I undertand they need to make money, and, unlike Facebook has done, find “products” (other than advertising) that are profitable. BUT their “don’t be evil” mantra had turned on itself, like a snake biting its tail, when they track user behavior, and capture billions of terabytes of personal data on folks who — unfathomably to me — give it up willingly on Google+. Then they combine all their services so they can keep a file on you like the CIA, and turn it over to intelligence agencies (required by recent laws and presidential directives) upon request … in a word SCARY! So use a different search engine — problem solved! Nobody is forcing you to go to Google’ page or their products. The market is still free. No one is forced to go to Google to get information. And of course, they are going to promote their own wares, who wouldn’t. Hope this article isn’t a cry baby attempt to say that the Internet is not subject to the laws of humanity because it is computers not people; at least that what this Author seems to be implying. Personnally, I think it is time to leave Google for any other search engine that can provide an honest internet search. LOL! Why don’t you do so for a week, TWR, and tell us how life works out for you? Ridiculous… Google does not control searching or the internet. It is a website you can choose to visit or not. If google disappeared today it would only inconvenience people because it provided a valuable tool for finding information on other websites, but that is it. It is not like Microsoft in days gone by, where if you did not have their OS you were extremely limited in your options to find any alternative. This is a classic mountain / molehill article. Google search is not a public property; they can put whatever they want on there. If you don’t like it, use another search engine. Or, use any of the plethora of add-ons/plugins available that block ads or customize search pages. Don’t like it, move on… there are other options…like Bing. it’s their domain and their product. I don’t understand the problem. google has done this before many times, its nothing new. They built it, they own it, they can advertise on it. If anyone does not like it the can use another search engine. They are a public company after all, and they need to generate value for shareholders…. It’s their page. They can do what they want. Don’t like it? Use another search engine. Duh. I think the real subtext is some ppl are worried the Google tablet ads will hurt the Good and Great Apple. I’m not an Apple fanboy so I don’t mind the ads. Agreed. I love Google and will continue to use it… even though I hate the fact they put YouTube videos in their results… because they own YouTube. If Google bought up Ask, Bing, Google, and a few others… and actively stomped out competition, THEN they decided to quadruple their ad click prices, and abused their prowess over search in other ways to effectively hurt consumers and advertisers because they had a true monopoly… THEN, and ONLY THEN, would I consider them a monopoly. Sites get penalties in rankings when they try to trick the search algorithims into thinking the page has the content being searched for. Or you’d get a page that looks like it was copy-pasted from a list of most popular searches, and nothing you were looking for.__And that birthday thing… I haven’t seen it pop up at all. I would deny the fact that it exists if I didn’t have a prompt for my birthday the one day, and if seeing birthday post spam suddenly go from non-existant to uncommon on G+. Amazon sells thousands of products. But since December I haven’t seen the front page ad NOT be the kindle fire. Nice comparison. I buy a lot from Amazon. They sell Galaxy Tabs, and a ton of other Android tablets, yet the Kindle Fire has been plastered on the top half of their page since launch. I’m sure some people will run around yelling MONOPOLY unfairly though. Amazon doesn’t have a 70%+ market share on all online sales. The popup ad is not on any search pages, it is on the front page, and only visible before a search is performed. Why can’t they put anything there? They have only chosen not to do that in the past to keep it clean. Yahoo runs ads on their home page, and bing has a facebook like button on its home page. I don’t see the problem with running ads for anything on the home page, and even if google wants to run ads for their products on the results pages, they are effectively paying for those ads, as they are losing revenue from some other advertiser. As long as they say it’s an ad, what’s the problem? I agree that the home page is different from including Google products in search, but from a regulator’s point of view they don’t look all that different — both take advantage of Google’s monopoly position in search to give its products preferential treatment. Again, google does not have a search monopoly. They’re are many competitors. Monopoly is not decided by how many competitors you have in the market place. It is decide by how much of the market Google current controls, above 75% or around that figure for it to be consider a monopoly, in the US they have about 65% of the search market. In the EU and and other markets they control 90%+ of the search market. Bing, Yahoo, Ask. Google doesnt have a monopoly. Theyre just the leader of their field. Thats like saying Apple has a monopoly of Tablets. They dont, they’re lust the leader of the pack. @ DevGal, um, Apple does have a monopoly on tablets or at least it thinks it does/should re. the lawsuit against (I believe Samsung) that has stopped the saleof their tablet in most of the EU. Just saying. @rememberingbob – Can you tell us why, from the regulator’s point of view, an ad on the Google homepage doesn’t look all that different from mixing their preferred links in the search result? Anyone who can think a little can see those are entirely two different things. Here’s something interesting: Forget about the home page. Google could display their own clearly marked ads in the ads section of the search results page (NOT as part of the search results themselves, mind you) and they would still be perfectly okay to do that. Worse comes to worst, Google could argue that the Nexus 7 is primarily a search device or another channel for Google Search, and oh, it just happens to have other tablet functionality, and so it is perfectly okay to advertise it on the search page. PS: For the record, I don’t like this behavior by Google either. Google doesn’t have a “search monopoly”. Which kind of renders your entire argument moot. Not in the US, nut in the UK and EU and some other countries around the world Google does have a monopoly. In the UK and EU: does google prevent users from accessing Bing or Yahoo or any other search engine? If so, please explain how that is possible. If not, please explain how google has a monopoly? @txpatriot It’s not about preventing users. Microsoft also didn’t prevent users from installing competing browsers on Windows and yet they were declared a monopoly, fined and had to accept several conditions. Chrome comes bundled on many PCs and even software you download these days and the default search engine on it is Google. Apparently according to Google it’s also the most used browser in the world now. Maybe it’s time for regulators to require a search engine ballot screen on it, like Microsoft had to do for browsers. 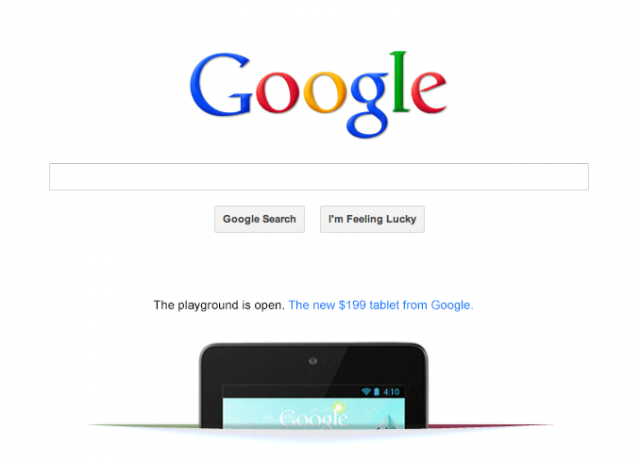 I hope you do understand that Google “is the smaller” competitor in tablet space? Thanks, yes — I am aware of that. But the reality is that its market position in tablets is irrelevant, it’s the use of a search monopoly to give preference to its own products that matters. Who says they have a search monopoly? A monopoly is the complete control of a certain product, where they abuse the situation because of a lack of competition. Google is the best, and the most used, but in no way is it a monopoly. Don’t like the fact that they pimp their products? Use Yahoo. 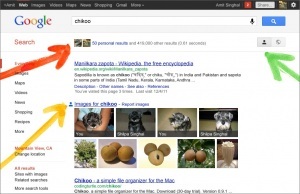 Use Bing… It’s easy. I like Google maps, google navigation, google search, gmail, google shopping, etc. I don’t feel as though I *have* to use Google to get information, because I don’t. It’s a personal preference. They have every right to advertise their own products however they want to. If companies feel they are being shortchanged in the deal, it’s easy for them… pull your ads from Google. Spend your ad dollars on Yahoo then. The fact of the matter is that Google owns the market because it’s the best. They can develop anything they want, and pimp it out til their hearts are content. Haha, I just attempted to post and couldn’t use my single signon Google account that every other content system accepts but this one. Haha, that’s hella funny, for real. I see negative comments about google all the time… and you know how those google haters found the blog or forum they were commenting on? Google.